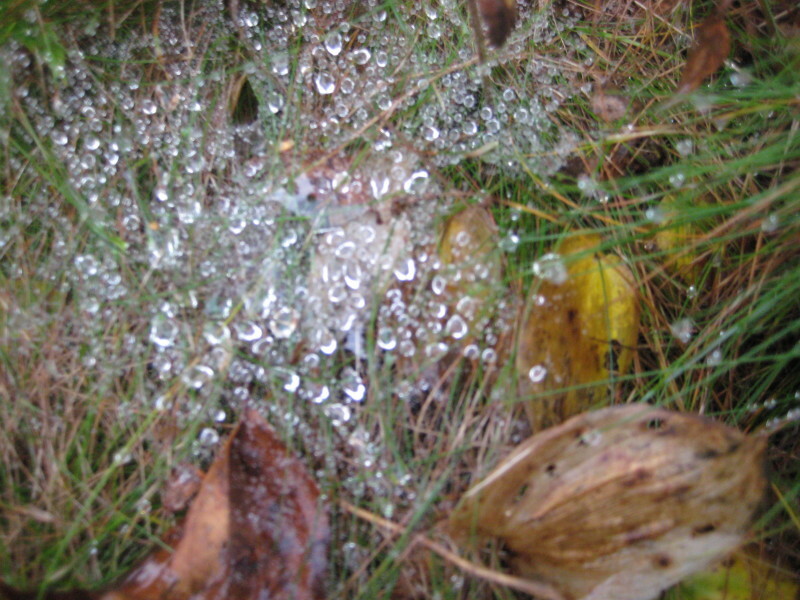 Trailside, on a damp October morning. 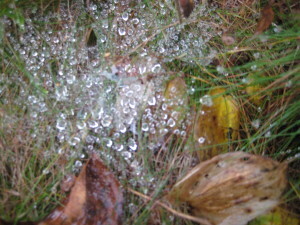 Circles of diamond dew-drops, magically suspended above the ground in neat circular patterns. I had to look closely to see the threads of web that held up the water droplets, and even more closely to see the funnel-shaped door at the top of the circle. 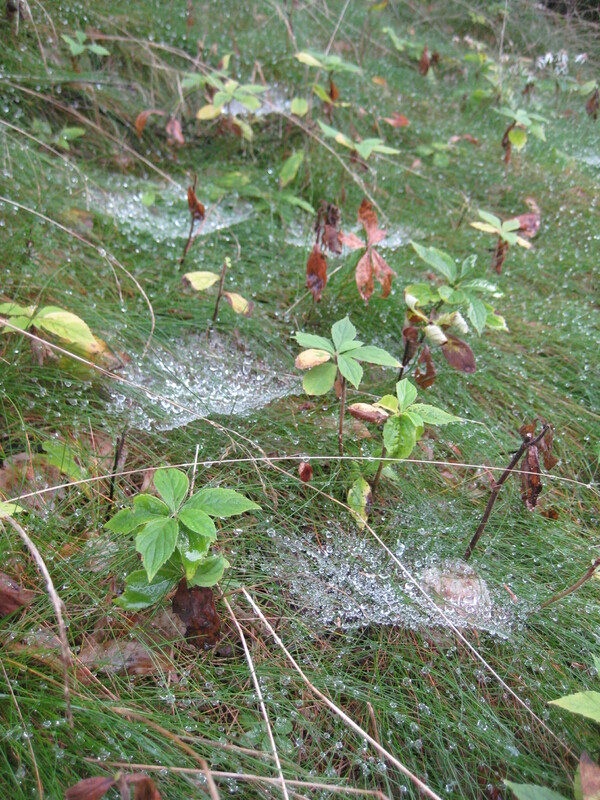 The home of the funnel web spider. 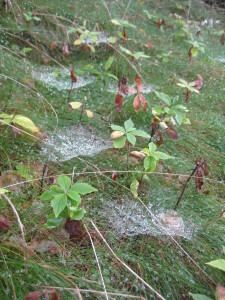 I’ve always loved the sight of these dainty webs, like lace handkerchiefs strewn across the ground. And sometimes I can’t resist the temptation to tap one with a finger and watch the little spider dart out to see if dinner has arrived, and then vanish back into the circular opening, round as a hobbit’s door. So I was a little alarmed when I googled “funnel web spiders” and discovered that they’re incredibly poisonous. Wait–wait–ah, fortunately that’s only Australian funnel web spiders–sigh of relief–the North American ones are harmless. Interesting that only the female makes webs–the male wanders around catching insects, and going door to door in search of romance. Beautiful! They remind me of my grandmother’s crocheting! Don’t they? Just like lace doilies. I love funnel spiders too. I always look for them on my schoolyard nature walks with elementary school students. The slight tap on the spiders web which bringing out the webs owner is great way to illustrate the food chain predator-prey story.